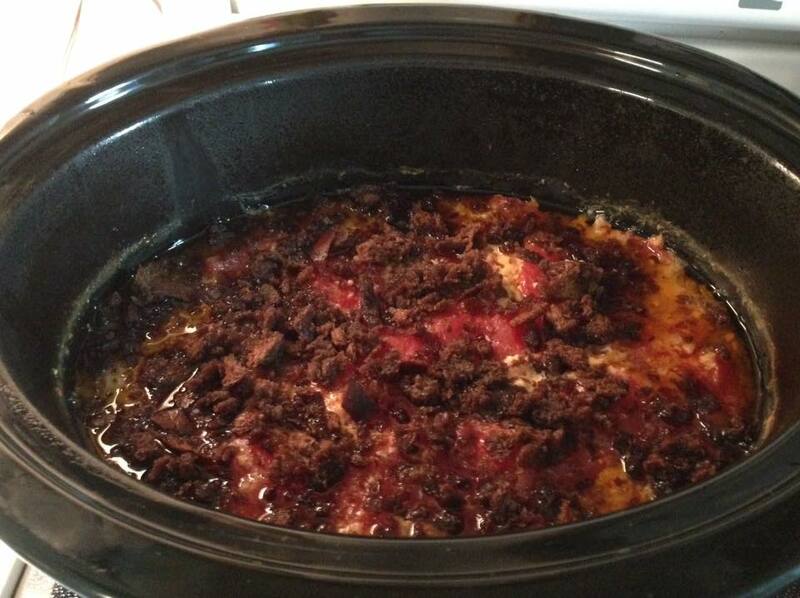 Here’s a delicious, new recipe I prepared night-before-last, so I could just put it in the crock pot and turn it on before leaving for work yesterday morning! Sometimes it takes a little advance preparation to be able to fully satisfy the hungry ones you’ll be feeding the next day, doesn’t it? 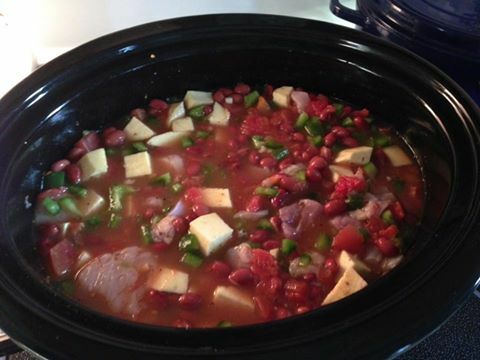 In a 5- to 6-quart slow cooker combine beans, sweet potatoes, chicken, broth, sweet peppers, diced tomatoes, tomatoes and green chiles, Cajun seasoning, and garlic. Cover and cook on low-heat setting for 10 to 12 hours or on high-heat setting for 5 to 6 hours. Remove 1 cup hot liquid from cooker. Whisk in peanut butter. Stir into mixture in cooker. Add sour cream to individual serving if desired. Prepare in advance: Pray, study the Word, and spend time in the presence of the Lord. You might need to feed someone tomorrow! Another Henderson recipe favorite is Chicken Cacciatore! Did you know that Cacciatore means “hunter” in Italian? In cuisine, alla cacciatora refers to a meal prepared “hunter-style” with onions, herbs, usually tomatoes, and sometimes wine. So what do you say? Let’s go hunt us some chicken and make up a batch! Place sliced onion in the crockpot and cover with chicken. In a bowl, stir tomatoes, salt, pepper, garlic, and white wine together. Pour over chicken. Cover and cook on low for 5-6 hours or on high for 3-4 hours, or until chicken is tender. Stir in capers, olives and herbs just before serving. Serve over cooked pasta. A Different Presentation, But Just As Yummy! There isn’t a meal more gratifying than this one … particularly if you are a Reuben Sandwich lover! 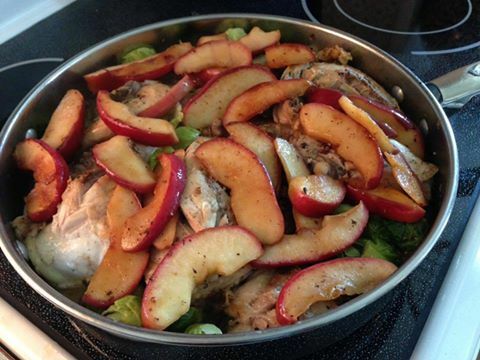 Mix it all together, let it slow cook, and voila! It’s equally as good, if not better than the sandwich model! Granted, it may be a different presentation, but when all the ingredients are there, the taste is just as exquisite! 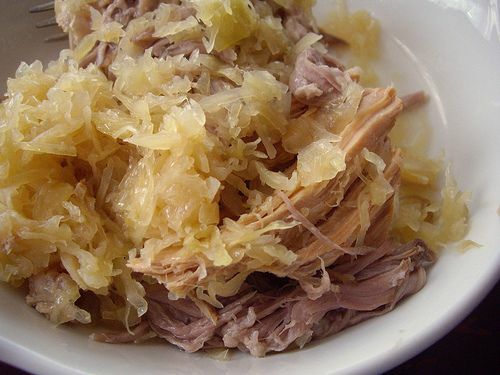 Place sauerkraut in the bottom of a slow cooker. Top with a layer of beef and sprinkle with half of the seasoning packet that came with the corned beef. Top with the shredded cheese. Combine the mayonnaise and thousand island together in a small bowl and then spread over the cheese. Top with tomato slices. Cut the fat into slices and lay in various spots on top of the tomatoes. Cook on low for 6 hours. Remove and discard the fat strips. 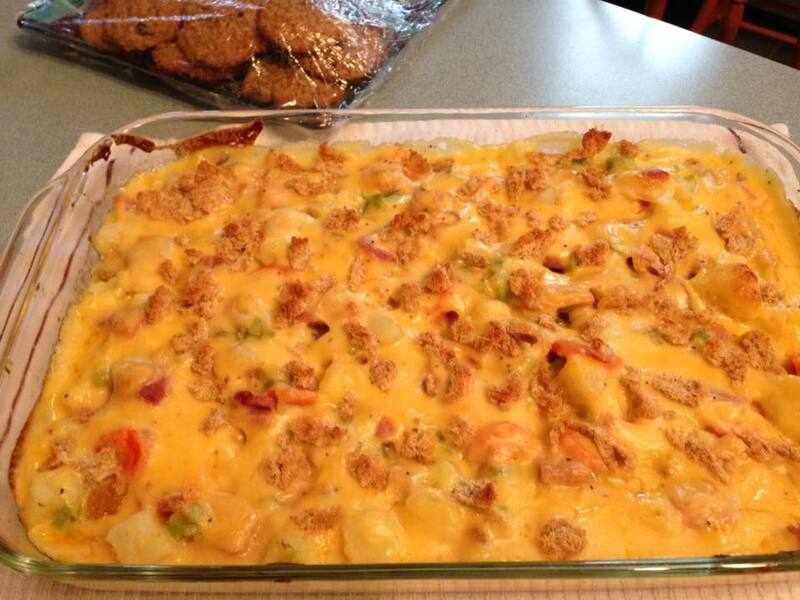 Sauté bread crumbs in butter and sprinkle on casserole before serving. Great served with mashed taters or macaroni and cheese! Your story is all yours, and when it’s combined with the ingredients of the Gospel of Jesus Christ, the outcome will be exquisite! So share it! Often! A couple of weeks ago, my sweet husband celebrated a banner birthday, and so for each evening of his “Birthday Week”, I decided to prepare one of his favorite meals. This recipe was the first one I made for him because it is one of his very favorites! He was very pleased! Preheat oven to 350 degrees F. In large bowl, combine turkey, celery, mayonnaise, rice, cheese, onion, lemon juice and salt. Spoon mixture into greased 9″ x 13″ pan. Top with almonds. Bake 30-40 minutes or until heated through. Great served with sliced tomatoes or a garden salad! My partner, my love … he is so much a part of me that it’s impossible to imagine what my life would have been without him. Thank you, Lord, for the precious gift of my husband! Happy Birthday, my sweet Timothy! The adventure continues and I’m looking forward to all that is ahead! I love you so much! Glop Some Gołąbki on Your Plate! 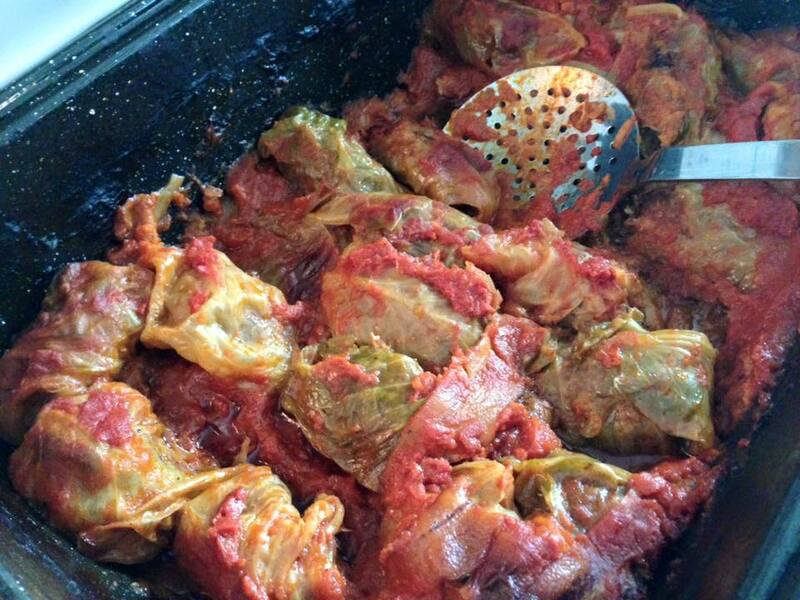 Stuffed cabbage rolls are the epitome of Polish nourishment, and being of Polish heritage, this dish is truly one my family’s very favorites. Poles call them gołąbki, which literally means “little pigeons”, but they are actually pork and beef, mixed with rice, nestled in a cabbage leaf and typically cooked in a tomato-based sauce until tender. Even my husband, who is not Polish, considers cabbage rolls to be one of his favorite meals … so glop some gołąbki on a plate and enjoy! In a skillet over medium heat, in hot butter or margarine, cook onion 5 minutes or until tender, stirring occasionally. Add tomato sauce, brown sugar, 2 teaspoons of salt and 1/2 teaspoon pepper; mix well and set aside. In a large bowl, combine the remaining ingredients (except the tomato juice and bacon) and roll (24-30) 1/4 cup portions into oblong segments, placing each of them on a sheet of aluminum foil or plastic wrap. With a knife, carefully pierce the cabbage around the stem (2″ deep or so) and remove the center of the cabbage. Place in a bowl, stem side down, with 2 tablespoons of water. Cover and microwave on high for 10 – 12 minutes. Rinse in cold water and then remove the cabbage leaves (12 to 15 of them) by rolling each leaf from the top to the stem. Center each of the oblong meat mixtures onto the wide edge of a cabbage leaf, roll the meat mixture up in the leaf, and then fold in the two ends. Replace them, seam side down, on the sheet of aluminum foil or plastic wrap. Repeat the process with the second cabbage. Chop any remaining cabbage into bite sized pieces and spread along the bottom of a large roasting pan. Mix the drained sauerkraut into the cabbage. Place each roll, seam side down, on top of the sauerkraut/chopped cabbage mixture in the base of the pan. Pour the tomato juice over the top of the cabbage rolls. Lay strips of bacon over the rolls. Bake uncovered in a 350 degree oven for 1 hour. Cover and continue to bake for another hour. Then lower the heat to 300 degrees and continue to bake for 4 more hours. I found it fascinating that gołąbki literally means “little pigeons”. I suppose the reason for this is the cabbage roll must look somewhat like a little pigeon, though I’ve never seen a little pigeon … and the idea of eating one is incredibly unappealing to me! If this meal truly consisted of pigeon meat, it most definitely would not be one of my favorites! However, since we’re now on this topic … did you know pigeons are considered to be one of the most intelligent birds on the planet? The pigeon is able to recognize its reflection in a mirror and is one of only 6 species, and the only non-mammal, that has this ability. The pigeon can also recognize all 26 letters of the English language and is able to conceptualize, differentiating between photographs and even between different human beings in a photograph. And, as you probably know, pigeons have often been used throughout history as messengers for delivering communications of great importance. The earliest, large-scale, communication network, using pigeons as messengers, was established in Syria and Persia around the 5th century BC. Much later, in the 12th century AD, the city of Baghdad and all the main towns and cities in Syria and Egypt were linked by messages carried by pigeons, their sole source of communication. Further, their successful use as messengers in wartime resulted in many pigeons being awarded honors by both the British and French Governments. But did you know a team of Navy researchers recently discovered pigeons can be trained to save human lives at sea with high success rates? Project Sea Hunt has trained a number of pigeons to identify red or yellow life jackets when floating in the water. The pigeons are not only more reliable than humans, but also many times quicker when it comes to spotting survivors from a capsized or sinking boat. The pigeon can see color in the same way that humans do, but they can also see ultra-violet, a part of the spectrum that humans cannot see, and this is one of the reasons they are so well adapted to lifesaving. Finally, and most importantly, did you know pigeons are mentioned in the bible as one of the offerings required by God to be presented by Abram before the Lord (Genesis 15:9), that pigeons continued to be included among the sin-offerings in Leviticus 1:14; 12:6, and that the Old Testament law permitted those who could not afford to offer a lamb, to instead offer two young pigeons (Levitius 5:7; Luke 2:24)? “Anyone who cannot afford a lamb is to bring two doves or two young pigeons to the Lord as a penalty for their sin“. 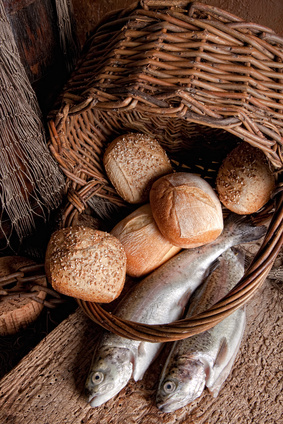 So indulgent, kind, and merciful was God to every man, if unable to afford and purchase the better offering, the best he could get would be acceptable; so the poor man had as many offerings for his atonement and cleansing as the rich, and his reparation and forgiveness were as complete as theirs. What an interesting correlation! In the Old Testament, God required the pigeon as a sin offering for impoverished man: a highly intelligent bird able to differentiate between human beings, the sole source of communication used to deliver a message of great importance, and one able to see and save drowning human beings from their sinking ships. Doesn’t this sound very much like an Old Testament shadow of the One who was to come? The Only Wise One carrying a message of absolute Truth, the Savior, the Deliverer, and the final Sin Offering for an impoverished man … who even today sees us and is able to save us from drowning in our sins! Who is this One? His name is JESUS! Hallelujah! Okay; I admit it. I am quite the cheese lover! 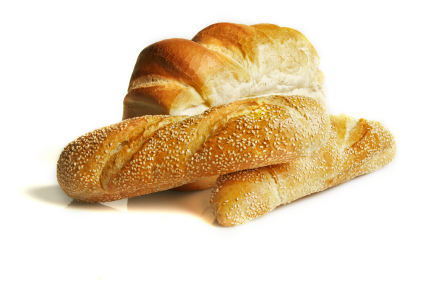 Whether alone, breaded and fried, included within or melted over an entrée … it is a great pleasure to my palate! Macaroni and cheese, ham and cheese, grilled cheese, pepperoni and cheese, cheesy mets, etc., etc. Yummo!!! In that regard, the following recipe is one of my very favorites! Cook two to three boneless, skinless chicken breasts in a pot of boiling water for 15 minutes. Cut the cooked breasts into ½ inch pieces to make two cups. Cook the spaghetti in the same chicken broth until al dente. Do not overcook. When the spaghetti is cooked, combine it with the 2 cups of chicken breasts and the remaining ingredients, except the one cup of additional sharp cheddar. Place the mixture in a casserole pan and top with the remaining sharp cheddar. You can cover and freeze it for up to six months, cover and refrigerate for up to two days, or bake it immediately at 350 degrees for 45 minutes until bubbly. (If the cheese on the top starts to brown, cover it with foil). Then say “cheese”, smile, and enjoy this scrumptious dish! As you probably know, photographers for years have instructed their subjects to say “cheese” right before the picture is taken. Why? Because speaking the word “cheese” causes the corners of the mouth to turn up, cheeks to lift and teeth to show, giving the appearance of a smile whether genuine or not. There’s also another word that, when said, can bring a real smile to our lips and genuine joy to our hearts. It is THE Word … the first Word, the only Word, the final Word … the Word that became flesh and dwelt among us, the Word that has existed from the beginning, was with God, and was God. The Word is Jesus! There is something about that Name! And as we speak His Name, recognizing the power that’s in it and all that it provides, how can we not smile? Strength, Healing, Deliverance, Restoration & Protection! Answered Prayer & Complete Joy! As believers in Jesus Christ, we have a lot to smile about, don’t we! So say His Name … smile, and have a joy-filled day! It was the Saturday after Thanksgiving, a chilly, rainy day with no scheduled events or plans (other than to kick back on the couch and watch my beloved Ohio State Buckeyes take on Xichigan!) It was a couple hours before kick-off and, still dressed in my nightgown and robe, I opened the fridge to consider what might be a good lunch option. The entire second shelf was still filled to capacity with ham … ham, ham, ham! Ham on the shank that still needed to be removed and another container, two-thirds full of thick ham slices, left over from our family Thanksgiving meal on Thursday. Friday’s lunch, of course, had consisted of a delicious ham sandwich, but the thought of ham sandwiches again on Saturday just wasn’t an appealing thought. And then I remembered a wonderful recipe that would fit the bill and be a perfect meal for a chilly, rainy day! In a saucepan, bring the potatoes, carrot, celery and water to a boil. Reduce heat; cover and cook about 15 minutes or until tender. Drain. In a large skillet, saute the ham, green pepper and onion in 3 tablespoons butter until tender. Add to the potato mixture. Transfer to a greased 1-1/2-qt. baking dish. In a large saucepan, melt the remaining butter; stir in flour until smooth. Gradually add the milk, salt and pepper. Bring to a boil; cook and stir for 2 minutes or until thickened. Reduce heat; add cheese and stir until melted. Pour over the ham mixture. 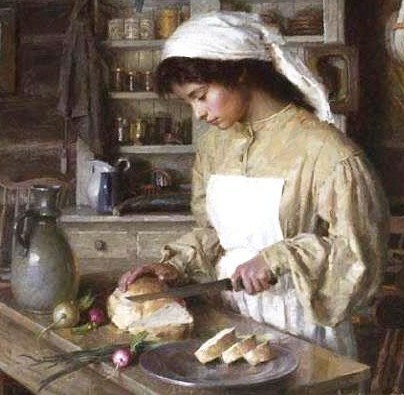 Sprinkle with bread crumbs. Bake, uncovered, at 375° for 25-30 minutes or until heated through. My husband and I were able to fill our plates and enjoy this hearty, delicious meal as we watched Ohio State beat Xichigan! What a perfectly wonderful afternoon to “ham it up”! The phrase “ham it up” evokes thoughts of funny silliness and laughter, doesn’t it? And this particular “ham it up” moment definitely brought a smile to our faces and joy to our tummies because it was centered around some great food! But there is a source of joy … a fullness of joy … that is available to us all day long, year after year and into eternity! The One Who created us wants us to laugh, to be joyful, and to have a merry heart! His Word says so! I pray today and the rest of your life are filled with the laughter and joy that can only come from Him! Porkin’ It Up: A New Year’s Tradition! What a wonderful way to spend New Year’s Day … sitting in front of the television watching football and eating a hearty plate of pork, sauerkraut, and mashed potatoes! And this recipe is one of the best because it includes bacon! It’s a Henderson tradition on New Year’s Day and one we really enjoy. I hope you enjoy this delicious meal as much as we do! Preheat oven to 450 degrees. Rub the pork loin on all sides with the flat sides of the split garlic cloves, and then rub with seasoning salt and sprinkle with pepper. Place in a roasting pan. Cut the two onions into quarters and wrap each quarter with a piece of bacon. Place the bacon-onion bundles on the pork in various spots and bake for 30 minutes. After 30 minutes, carefully move the bacon-onion bundles to the side of the pan, flip the pork loin, replace the bacon-bundles on top of the pork loin and bake another 30 minutes. In the meantime, drain and rinse half of the sauerkraut (2 of the 32-oz jars). After the additional 30 minutes of baking, spread the drained and rinsed sauerkraut as well as the other 64 ounces of undrained sauerkraut beneath, around and on top of the pork loin. Reduce heat to 325 degrees and cover with an aluminum tent. Bake for 1-1/2 hours and then add enough chicken broth as necessary to moisten. 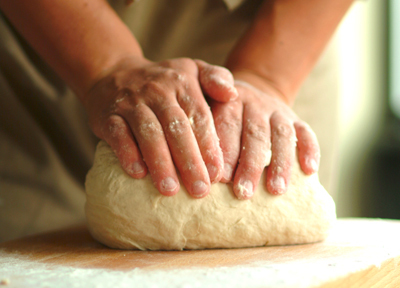 Bake for another 1-1/2 hours. Serve over mashed potatoes. I don’t know if you’re like me, but often when a plate of my favorite food is placed before me like this one, it is usually followed by seconds, and sometimes even thirds! It’s like “help me! I’ve started eating and I just can’t stop!” Sadly, this frequently happens during the Thanksgiving, Christmas, and New Year’s holidays when surrounded by foods and desserts that I believe may be exquisitely satisfying! The end result? Indigestion and a bloated stomach, weight gain and water retention, clothes that no longer fit properly, poor body image and feelings of failure. Complete misery. The sad thing is I know beforehand this will probably be the end result, but the temporary gratification of a satisfied palate seems to far outweigh any future ramifications. That is, until that future ramification arrives and all I can do is berate myself for being such a porker! Similarly, in a spiritual sense, Christians do the same thing on occasion. We knowingly do things that are outside of God’s plan and purpose for us. We choose to be satisfied rather than crucified in Christ because we believe the gratification from the momentary fleshly pleasure will be worth the trade-off. It never is.The end result is we’re left with disappointment, regret, and sadness, knowing we were created for much more, that we could have and should have chosen that which would have glorified Jesus, but instead we chose to satisfy our flesh. And we’re filled with feelings of failure. Thank God for the conviction of the Holy Spirit and that our hearts are not too hardened to feel His touch. Thank God for the mercy, grace, and forgiveness provided to us through His Son, Jesus Christ. Thank God for second chances! We will soon be entering a New Year! What a perfect time to step away from filling our lives with things that aren’t spiritually good for us and, instead, rededicate our days to the One Who Is! We can stuff ourselves with things of the world and become so accustomed to a diet of fleshly pleasure that it’s difficult to stop. Or we can revive our spiritual health and choose to continually “taste and see that He is good!” A new day. A new year. A second chance to live spiritually healthy and in His perfect plan and purpose for our lives! just what am I doing here? or have I made this life about me? of me, myself and I.
and selfish longings be crucified! in all I do, Lord, be glorified!